Locational Advantage : Comfort Inn Marina Towers is located in the heart of the city. Comfort Inn Marina Towers is a luxurious hotel, sited in the close proximity of all the major shopping centers and entertainment areas of the city. The hotel strives to provide a comfortable stay in a professional manner. It offers impeccable services and state-of-the-art amenities to complement the taste and requirements of the discerning travelers. 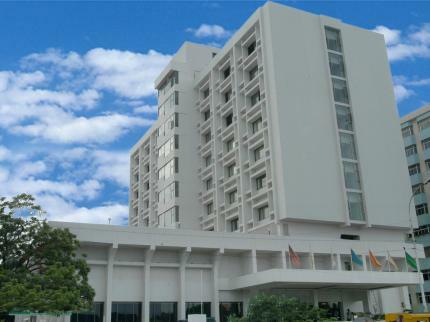 Comfort Inn Marina Towers is a distinctive name in hospitality industry and is preferred by the travelers to stay in Chennai. The hotel has 113 well-appointed and spacious rooms, categorized into Deluxe Room and Luxury Suite. All these rooms are beautifully decorated and furnished with every modern facility for the maximum comfort of the guests. Seven: A multi-cuisine restaurant that serves delectable delicacies. Upper Deck: A stylish & modern bar that offers the finest of liquor. Courier Service, All Major Credit Cards Accepted, Doctor on Request, Fax on Application, H/C Running Water, Money Changer, Newspaper, Free Room Service, Cable TV, Direct Dialing STD/ISD Facility, Internet Connection, Laundry, Travel Desk Service, Conference Facilities, Banquet Hall, Parking, Bar Facility, Multi-cuisine Restaurant, Car Rental Service, Front Desk, Business Centre, Post & Telegraph, Airport Pick/Drop.